Its quite simple really… Resources are either helpful or they are not. That determination is up to you. But when you don’t even know all of the right questions to ask, the task itself can become overwhelming and that is why a lot of Stockton Homeowners that want to sell their home resort to doing nothing. Who do you trust? How do I know that I can trust you? The simple answer is you wont know unless you pick up the phone. Talk about a Resource: My Team is the most experienced in the Stockton area. I am involved at every single stage because that is the only way I can guarantee the out come that you desire. My job is to Buy and your job is to sell your Stockton House with the least bit of interruption to your life and most amount of Money in return for your asset. How do we get there? Pick up the phone, lets talk. Interview me, make me earn your Trust. Make me your resource and your go to guy to get things done right the first time. In return I will buy your Stockton House and you can get on with your life. I think you will be pleasantly surprised with your new resource and friend. 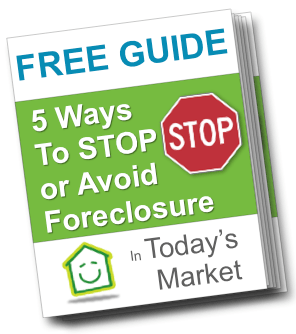 As a start… We’ve compiled some resources on this page to help you sell your house fast or save you from foreclosure. We work with home owners every day who need to sell their house but can’t do it the traditional route through a real estate agent… and people going through foreclosure. So, use us as a resource too. We’d be glad to answer your questions, help you better understand your options, and walk you through how our “home buying” service works… where we’ll make you a fair no-obligation, no-hassle offer. It’s simple, straightforward, and just may be perfect for you. Westbrook REI is the Stockton area’s most respected house buying company. We are family owned and we are a highly experienced home buying team that is focused on helping homeowners like you to sell your house fast, without any gimmicks, games, or fees, and we’re committed to delivering these service with transparency and integrity throughout the entire experience.